Alt-right journalist Faith Goldy is scheduled to give a talk at Wilfrid Laurier University in Waterloo, Ont., Tuesday night on why Canada should close its borders. Some student groups and faculty are arguing she shouldn't be allowed on campus. 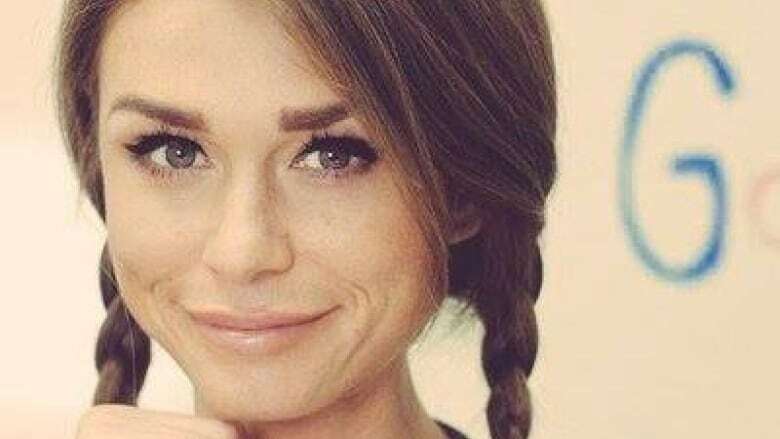 Some students, faculty and groups at Wilfrid Laurier University in Waterloo, Ont., are speaking out against a planned talk Tuesday evening by Faith Goldy — a woman described as alt-right and a white supremacist sympathizer. Goldy is giving a talk on keeping Canada's borders closed to immigration as part of a speaker series being put on by a new campus group, Laurier Society for Open Inquiry. Her talk is entitled, "Ethnocide: Multiculturalism and European Canadian Identity" and is part of the group's new "Unpopular Opinion Speaker Series." 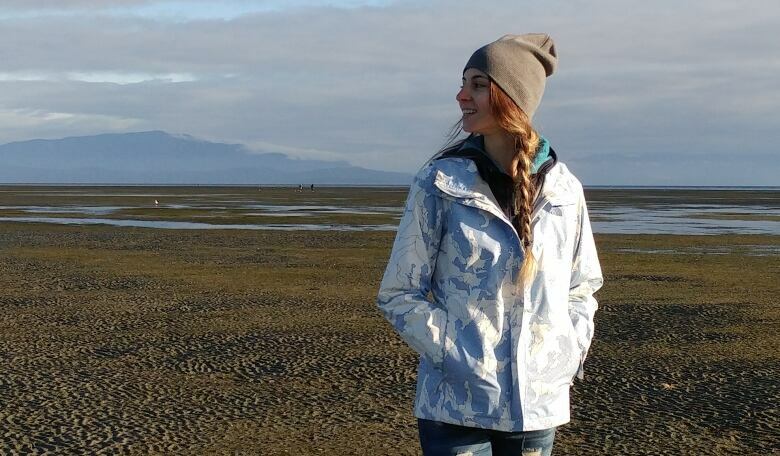 The group's co-founder and president is Lindsay Shepherd. She made headlines last fall after she was sanctioned by a professor for showing a video that included Jordan Peterson, a University of Toronto psychology professor, who has argued against using gender-neutral pronouns in a class for which she was a teaching assistant. Goldy's talk was initially meant to be a debate on immigration, with Goldy arguing for the closed border side. But Shepherd said no one would agree to debate Goldy, with one person saying to do so would legitimize Goldy's views. Goldy did not immediately respond to CBC's request for an interview. On Twitter, she said she would be "directly responding" to "libellous claims" about her. Shepherd said she knows Goldy's opinions are unpopular, but that people should listen and form their own opinions. "These views are out there, no matter how despicable some people find them. Actually, the best thing to do is air them out and let them be publicly challenged. Because when you don't, and ideas go underground, they actually become more dangerous and you can't keep track of them," Shepherd said in an interview with CBC News. "No one is being forced to go and there's also a counter protest, so if they feel strongly about it, they can join that." "I want to state very clearly that I personally and absolutely reject the ideas and values attributed to this speaker and that they are in no way aligned with or reflective of the core values of our university," MacLatchy said. "It is my sincere hope that the organizers of, and participants in, this event take seriously the responsibilities and accountabilities that accompany free expression and will engage in civil discourse that is free from hate." That response isn't enough for associate professor Steve Wilcox. In a tweet, he called MacLatchy's response "wholly inadequate." In an interview CBC K-W's The Morning Edition with host Craig Norris, Wilcox said someone like Goldy has no place on Laurier's campus. "I teach students who are first, second and third generation Canadian from countries supposedly enacting this, quote, ethnocide and I had to ask myself, how am I supposed to ensure that these students feel welcome and accepted when, on the other side of campus, someone is promoting the view that they are inherently inferior and unwelcome," Wilcox said. "Freedom of expression in this case is being used to promote tolerance of intolerance," he added, noting people associated with the alt-right movement use "coded language" to advance their agenda. "Their goal is not to foster debate," he said. "Their goal is to make unpopular opinions popular." Some on campus, like professor Matthew Sears, have advocated tearing down posters for the event. "Just so we're clear: You see a racist poster promoting a racist event for a racist speaker, I'd say it's a moral imperative to tear it the heck down. So kudos to those who have," Sears tweeted on Friday. And just so we're clear: you see a racist poster promoting a racist event for a racist speaker, I'd say it's a moral imperative to tear it the heck down. So, kudos to those who have. The hashtag #nonazisatlaurier has been used on social media by people wanting Goldy's talk to be cancelled. The African Community Wellness Initiative wrote an open letter to Laurier's administration asking for the talk to be stopped. Fanis Juma Radstake, a community organizer with the group, said she is concerned for the health and safety of students. "These ideas are getting a platform ... and the people who are organizing this event are getting emboldened by feeling that they have the support of the university just by virtue of being able to hold such an event," Radstake said. Shepherd said Laurier made the right decision in not shutting down Goldy's talk. "As someone who advocates for freedom of speech, this was a very nice thing to hear from Laurier," she said. "I certainly do not share most of Faith Goldy's views. But does that make someone not worth listening to? No. I think we can all find common ground with some people and let's actually listen to their arguments before writing them off," she said. "Just because I want to hear that, it doesn't make me some kind of skinhead," Shepherd said, noting there will be a question and answer period where those in attendance can challenge Goldy and her views. "I actually don't know where she stands on a lot of things, so it will be very useful for me to be able to ask her questions, too."